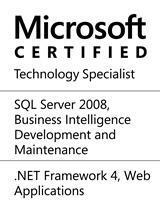 SQL Saturday Sydney is back with lots of power packed sessions and a strong line up of speakers. I will be speaking on the topic “Crack open the AMO for SSAS Tabular” which will certainly help developers to programmatically manage and administer Analysis Services Tabular models. Please find the agenda for the day (25th Oct, 2014) here. Qlik launched their new product Qlik Sense Desktop that officially marks the launch of their next generation platform. The Qlik community and practitioners had been waiting for Qlik.Next for a while and the launch of Qlik Sense Desktop marks the beginning of a new era for Qlik embracers. A few months ago, I blogged about using Microsoft Analysis Services Tabular Model as a data source for Qlikview. As a practitioner of SQL Server Analysis Services (SSAS) Tabular Model, I was curious to find out if there was a native connector for SSAS in Qlik Sense Desktop. The following steps describe the process of loading data from SSAS Tabular Model using Qlik Sense Desktop. As a pre-requisite, please ensure you have the necessary OLEDB drivers for SSAS (MSOLAP) installed on your desktop. Step 1: In the ‘Data Load Editor’, click on ‘Create New Connection‘ and select OLEDB from the list of connections. 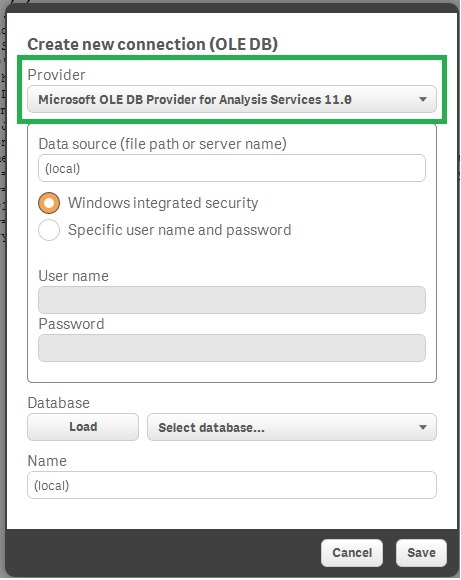 Step 2: Select the provider for Analysis Services and enter the connection details to connect to the tabular model. 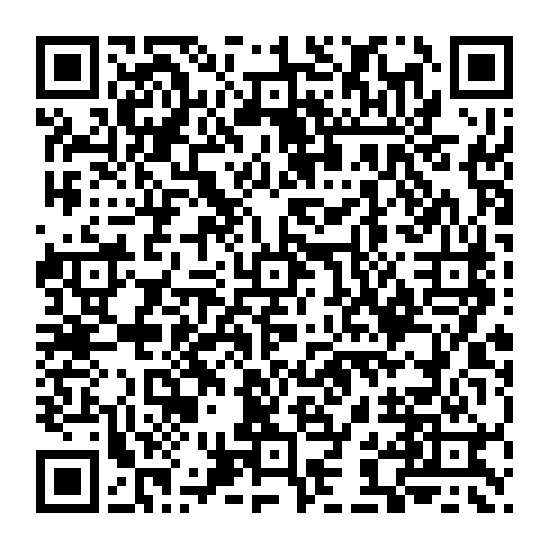 Click Save once done. Step 3: Once the connection is successfully saved, it appears in the Data Connections pane on the right. Step 4: Though the metadata can be viewed using the select data option, the OLEDB provider for SSAS cannot programmatically generate DAX queries. To extract data from the Tabular Model connection created in the previous step, DAX queries should be written in the data load editor as below. The verdict is that there are subtle differences in the interface but there is no native SSAS connector in Qlik Sense desktop yet. There are major enhancements in the visualisation side of things and I’m sure a lot of us will be talking about them in the coming days. 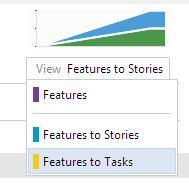 What story does this dashboard tell us? What analysis can be drawn out of this sample visualisation? Here are some of the observations I could immediately draw from this dashboard. 1. Maximum tweets are in English language followed by Thai (which is obvious and evident from the top left part). 2. There has been a steep increase in tweets between 4 – 5 PM and when I drilled down to the details / content in tweets, I found out that this was the time when some of the popular news channels published their breaking news on twitter. This exponentially grew in numbers as more and more people retweeted the breaking news. 3. I could hover over the map and find out which country / city had higher tweets than others and what patterns of tweets (texts / content) were coming from different parts of the world. 4. Finally, the maximum tweets had the hashtag “MH370” followed by “PrayForMH370”. 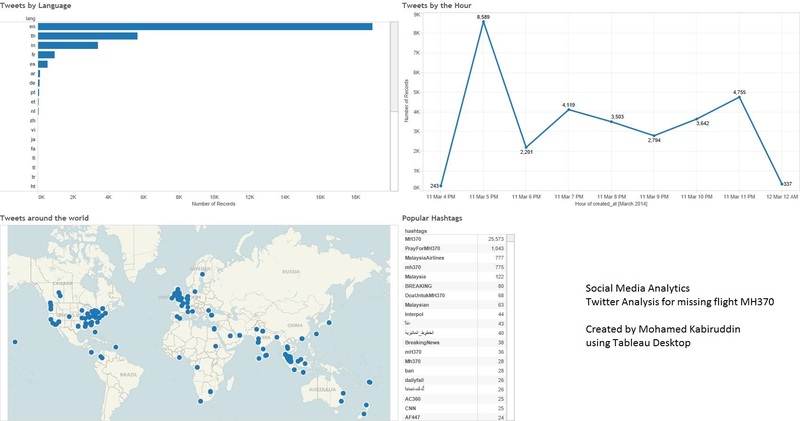 This sample exercise was done to simply leverage the capabilities of Tableau to analyse social media data from Twitter. The result is evidently a visualisation of meaningful information from raw tweets on a given topic. We were excited to see 3D geo-spatial visualisations when Microsoft launched the preview of GeoFlow earlier this year. GeoFlow, which is now renamed PowerMap, allows us to create and uplaod videos. Taking customers through a journey and walking through data visualisation stories can’t get any easier. Please see below for an amazing post (and video) of what I’m talking about. Brian Harry announced the launch of TFS 2013 to be scheduled at Build conference this year and some of the features are included for Preview in Team Foundation Service. 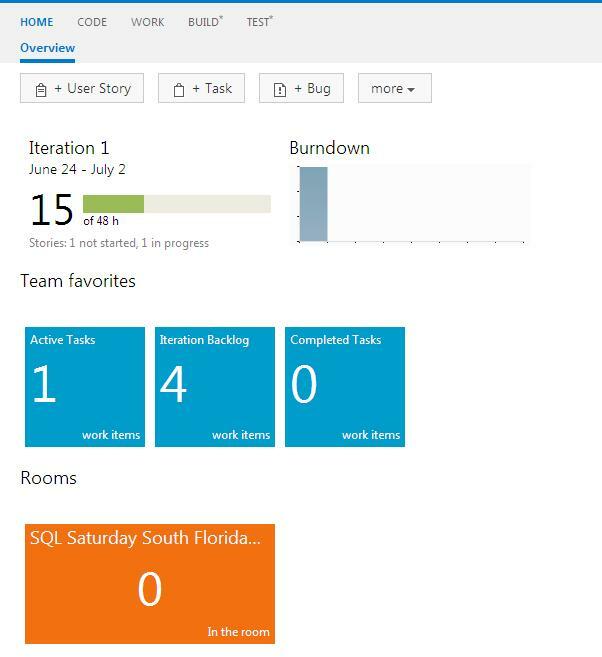 I have been using Team Foundation Service for my talks at SQL Saturdays on “Agile BI” and noticed the new changes well ahead of my presentation for SQL Saturday #226 in South Florida. 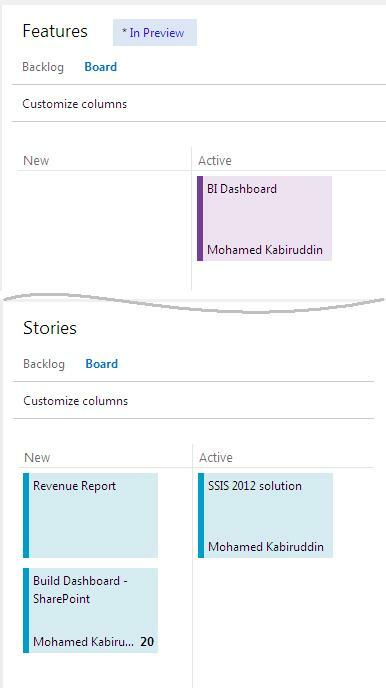 This post is to introduce some of the new features that have been built into TFS 2013 in relation to the Agile Portfolio Management or Epics as Adam Cogan states in his blog. The first thing you would notice in the Backlog page are the different levels of backlog. This is clearly to distinguish the granularity of a feature / task for diferrent people in an organisation. A business stakeholder would be more interested in a feature that is being developed while a business analyst would be keen to track the progress of user stories. Also notice the colour coding that has been used for different levels of backlog which makes it even more easier to track the work items. Board supports all levels of backlog and allows you to track the items under features and user stories separately (The same colours are used for items on the board). On the TFS Dashboard page, there is a new addition of the Team Rooms tile by default. I will post more about Team Rooms after I try it out with the official release of TFS 2013. I encountered this unexpected bug while creating multiple partitions for a table in my SSAS Tabular model. While authoring the model in SSDT (Visual Studio 2010), I created two partitions for a given table to split the processing for a large dataset. 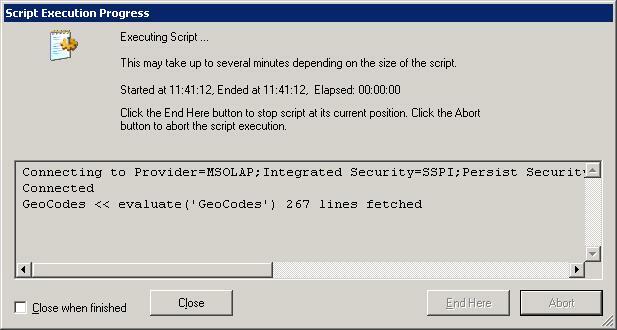 After entering the query for the second partition, the validation check failed with the error “Object reference not set to an instance”. There is a Microsoft Connect bug opened for this issue here. You can also read more about this on the Technet thread here.